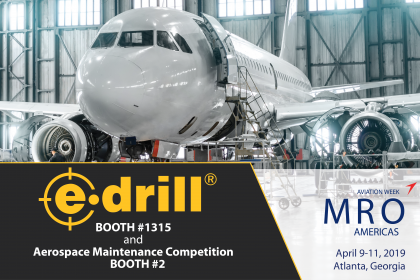 Perfect Point and Ntegrity Aircraft Parts, are excited to announce their partnership in the annual Aerospace Maintenance Competition (AMC) coinciding with the MRO Americas convention, April 9-11 at the Georgia World Congress Center in Atlanta, GA. The AMC will test nearly 400 aerospace technicians skills and maintenance knowledge in 31 different events. The competition event will test the contestants’ ability to remove titanium fasteners from a refurbished composite Bombardier Global 5000 inboard flap. 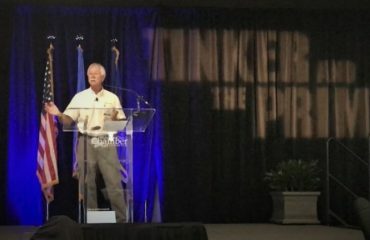 Fastener removal is an often overlooked process during maintenance cycles, but as the industry moves towards carbon-fiber with titanium fasteners, it has become an even more difficult and time-consuming job. 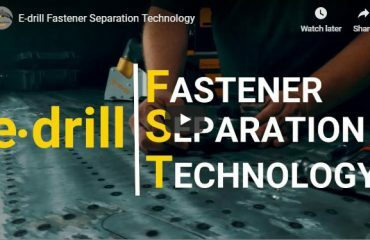 E-drill significantly reduces the time and effort spent removing fasteners, as well as reducing the potential for damage, allowing technicians to increase their overall productivity, all while improving safety for the technician. This event aims to highlight the advantages of the E-drill over standard methods of fastener removal. Each contestant will be tasked with removing 5 blind fasteners (Composi-Loks) from the flap. These fasteners are constructed of titanium and steel alloy, making conventional drilling extremely difficult to control, which can often resulting in damage to the structure. This task could take an experienced technician 20 minutes or more to complete using a twist drill. Technicians using E-Drill are likely to complete the task much faster, with no damage to the fastener holes. 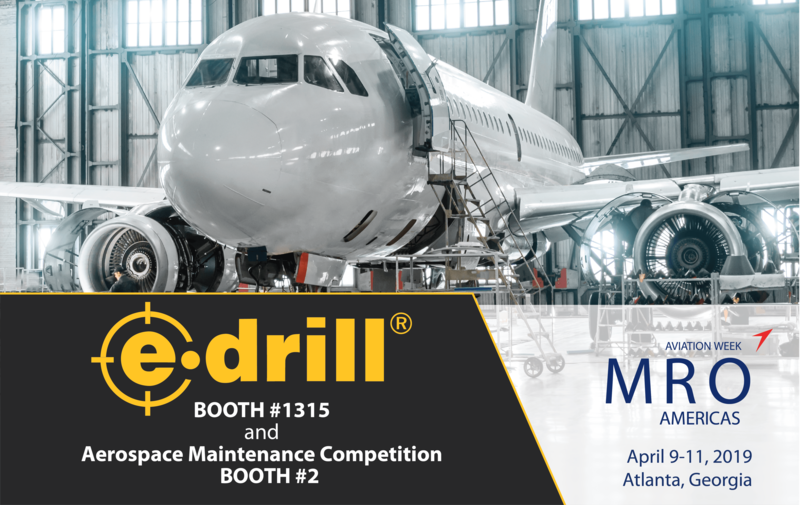 If you are planning on attending MRO Americas, the Aerospace Maintenance Competition will be sure to draw a crowd. Perfect Point’s fastener removal event is already being flagged as one of the “Cool Events to See at the AMC” by Aviation Pros AMT Magazine. (https://www.aviationpros.com/tools-equipment/shop-equipment/article/21069245/cool-events-to-see-at-the-amc) After watching the competition, be sure to stop by the Perfect Point booth (#1315) to get a personalized demonstration and see the E-drill first hand . Perfect Point manufactures its patented E-drills for the aerospace industry worldwide to streamline MRO work for military and commercial aircraft and engines. Many aerospace OEMs have integrated E-drill into their MRO operations including Lockheed Martin, Northrop Grumman, the U.S. Military, Airbus, Boeing, Gulfstream, Textron, Rolls Royce, Bombardier, Embraer, select global airlines and MRO providers to support numerous aircraft platforms. Visit www.ppedm.com for more information. 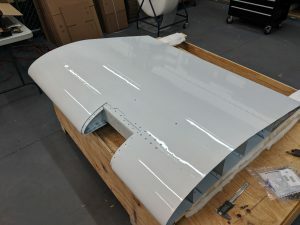 Ntegrity Aircraft Parts is a leading aviation company that provides comprehensive services to a diverse client base that includes corporations, FAA 135 aircraft charter operators, airlines, maintenance repair organizations, Original Equipment Manufacturers, governments and individuals. 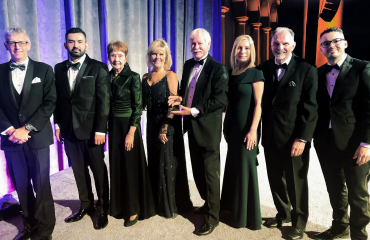 Its operational accomplishments combined with the technical knowledge of a team of seasoned aviation advisers ensure innovative excellence in all aspects of the company’s activities. For more information, please visit www.ntegrity.parts.